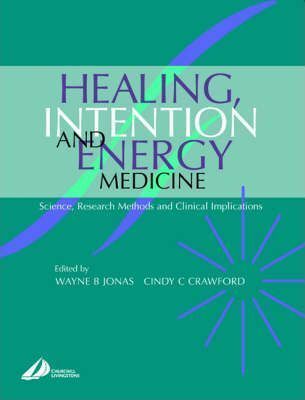 This book provides a clear and authoritative summary of the results and clinical implications of research in spiritual healing, energy medicine and the effects of intentionality. Recent publications in the Archives of Internal Medicine, the Western Journal of Medicine, JAMA and the Annals of Internal Medicine have focused on prayer, distant healing and spiritual healing. Therapeutic touch is taught in many nursing schools and laying-on-of-hands and mental healing are of great interest to the public. But what is the science behind these practices? Is there any research? Is it any good? What are the implications of this research for medicine and science? How should investigation of spiritual healing proceed, if at all? These are the questions this book explores. This book derives from a project sponsored by the Lawrence S. Rockefeller for the purpose of rigorously evaluating the science of spiritual healing. To produce the book, some of the best researchers in these areas were asked to use a standard set of quality criteria for the evaluation of science and clinical research. A conference of scientists, physicians, ministers and others then reviewed and discussed this literature and addressed methods for their further evaluation. The conference was organised by the Uniformed Services University of the Health Sciences, Duke University, Wake Forest University and the Institute of Noetic Sciences. The evidence level of these areas was rated using standards established by government groups and published in JAMA for classification of the amount and quality of evidence in medicine. Each area was summarised, and clinical implications identified. Recommendations for future research and investigating the impact of healing practices in the clinical setting were also made. Provides the most authoritative discussion of the science of healing intention and energy medicine. Offers a clear analysis and assessment of research results and their relative quality. Explores the clinical implications for research results and demonstrates how they may be applied in practice. Provides guidelines for further research and study on the subject. Wayne Jonas is a previous director of the NIH Center for Complementary and Alternative Therapies (now office), and still a very highly respected and highprofile name in CAM. He is also a co-editor of a forthcoming CL book on CAM research.